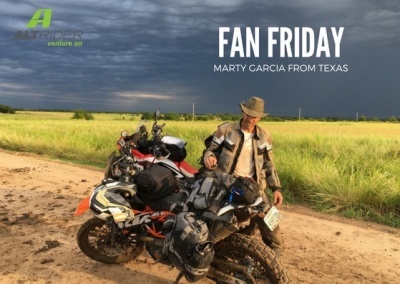 Our Featured Rider for AltRider#FanFriday is Martin "Marty" Garcia. Martin Garcia is a Chief Engineer at a Fortune 500 company and a passionate adventure motorcyclist. He and some friends started the nonprofit organization called "Task Force Dagger" which provides assistance to wounded, ill, or injured US Special Operations Command members and their families. Stay tuned for our story on Martin's recent adventure on his #AfricaTwin with AltRider parts!